For parents of children with an Autism spectrum disorder (ASD), high quality, easily accessible information and a strong peer network can be the key to raising a happy, healthy child, and maintaining family well-being and emotional resilience. This article reports the findings of an anonymous survey examining the information source preferences for 935 parents of individuals with ASDs in North Carolina. Data indicates that parents show similar information seeking patterns across the age spectrum, that availability of information (as indicated by overall information source selection) decrease as children age. It also shows that parents rely heavily on local sources of information, preferring them to nonlocal sources (such as the internet) for many types of information. The authors would like to thank the parents who took precious time to share their thoughts with us. We would also like to thank members of the North Carolina Autism Alliance, the North Carolina Autism Society, and the Carolina Institute for Developmental Disabilities for their guidance with study design, and assistance with recruiting participants for this study. Participants were recruited from the Carolina Institute for Developmental Disabilities Research Participant Registry which is funded by NICHD U54HD079124. Brief preliminary findings from this study were presented at the 2015 ASIS&T Annual Meeting: Information Science with Impact: Research in and for the Community in St. Louis, Missouri. AG conceived of, designed, and coordinated the study, performed the measurements and statistical analyses, interpreted the data, and drafted the manuscript. SK participated in the design and coordination of the study, acquisition and interpretation of the data, and helped revise the manuscript. EV participated in the acquisition and interpretation of the data, and helped revise the manuscript. All authors read and approved the final manuscript. How old is your child with Autism (follow parent’s lead on terminology)? What grade is s/he in/Tell me a little bit about him/her? We are going to talk about some of the information/services you have search for on behalf of your child in the past year (especially related to Autism). In the last year, what medical services or information have you searched for on behalf of your child (especially related to Autism)? How did you find out about [that information/service]? Were you satisfied with the outcomes? How did you use the information? Would you do it this way again (if you needed similar information at a later point in time)? If not, what would you do differently? In the last year, what education-related services or information have you searched for on behalf of your child (especially related to Autism)? Is there any other information or service you’ve looked for in the past year, that you’d like to tell me about? Could you tell me about an experience you’ve had where you felt like you did not have sufficient information to make an informed decision on behalf of your child, or where you felt like you needed information and could not find it? Please tell me about an experience you’ve had where you felt like you were given too much information to be able to make a decision on behalf of your child (prompt: when you have experienced information overload). Would you say that your area of residence has a strong community of support for children with developmental disabilities and their families? Why or why not? What advice would you have for the parents of a child who has just been diagnosed with having autism? Braveman, P., & Gruskin, S. (2003). Defining equity in health. Journal of Epidemiology and Community Health, 57(4), 254–258. Retrieved from http://www.ncbi.nlm.nih.gov/pubmed/12646539. Centers for Disease Control and Prevention (CDC). (2014). 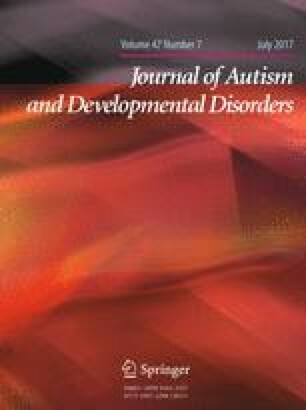 Prevalence of autism spectrum disorder among children aged 8 years—autism and developmental disabilities monitoring network, 11 sites, United States, 2010. Morbidity and Mortality Weekly Report. Surveillance Summaries, 63(2), 1–21. Retrieved from http://www.ncbi.nlm.nih.gov/pubmed/24670961. Gibson, A. N. (2016). Building a progressive-situational model of post-diagnosis information seeking for parents of individuals with down syndrome. Global Qualitative Nursing Research, 3, 2333393616680967. doi: 10.1177/2333393616680967. Mackintosh, V. H., Myers, B. J., & Goin-Kochel, R. P. (2005). Sources of information and support used by parents of children with autism spectrum disorders. Journal on Developmental Disabilities, 12(1), 41–51. Retrieved from http://www.oadd.org/publications/journal/issues/vol12no1/download/mackintoshEtAl.pdf. Ouellette-Kuntz, H. M., Coo, H., Lam, M., Yu, C. T., Breitenbach, M. M., Hennessey, P. E., ... & Crews, L. R. (2009). Age at diagnosis of autism spectrum disorders in four regions of Canada. Canadian Journal of Public Health, 100(4), 268–273. http://www.jstor.org/stable/41995266. UNC School of Medicine. (2016). About University of North Carolina TEACCH Autism Program. Retrieved from https://www.teacch.com/about-us.